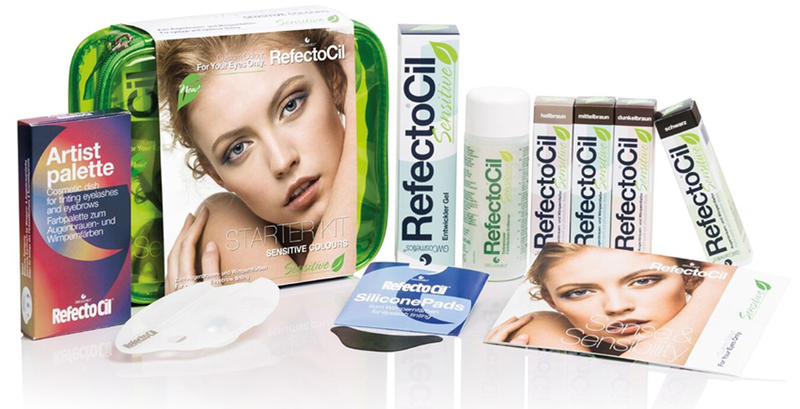 RefectoCil Sensitive is silver nitrate based so you can finally offer the perfect color service to clients with sensitive eyes and skin. Silver nitrate is much softer and safer than the oxidative tints. Only three minutes for application with no dripping and no mixing. Lasts up to six weeks smudge and water-proof. PPF-free.